A year or so ago, I fell in love. It was this knee-length royal blue Bill Blass wool coat with a fantastic collar, and it was perfect. (I still kick myself because I didn’t buy it.) I was really drawn to the design or the piece. That’s the thing about vintage clothing by Bill Blass —they sort of take you by surprise and then you wonder how it was that you had overlooked it for so long. Born in Indiana in 1922, William Ralph Blass attended the respected Parsons School of Design in New York City before enlisting in the army during World War II. 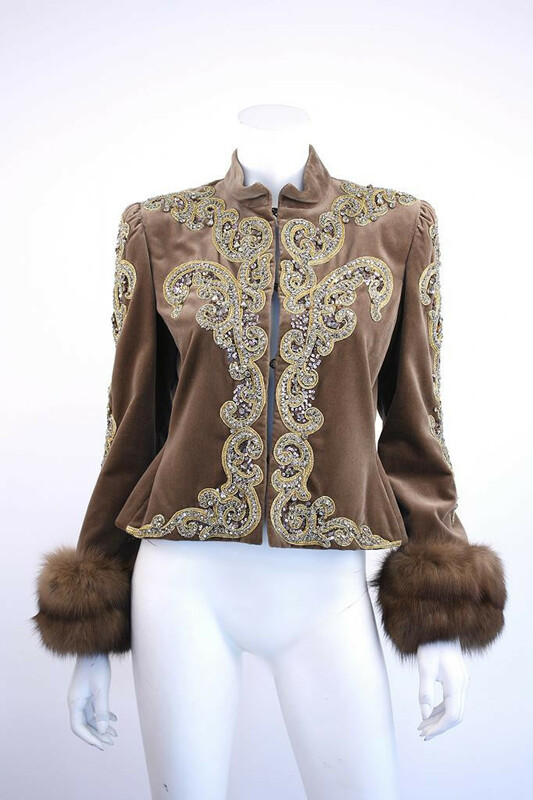 In 1970, he bought the Maurice Rentner company (he was head designer) and started his iconic Bill Blass Ltd. Fashion house. He took to designing well-tailored and chic sportswear for American women, and soon his clientele included Jackie Kennedy Onassis, Nancy Regan, Brooke Astor, and Candice Bergen. 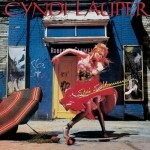 His creative talents branched out in the 1980s, but his designs never lost their well-tailored, luxurious standard. In 1999, Bill Blass sold the company and retired to his country house in Connecticut—just three years later, he died of complications from throat cancer. Wool coats— Reds and blues and whites, waist-length and knee-length, embellished or not—there’s something for everything. Evening wear—one-shouldered? Sequined? Chiffon? Bows-feathers-rouching-fringe? Yes please! Luxe materials—feel like silk? Lusting for cashmere? How about a fur collar? Check, check, check. Color and texture and prints, oh my! 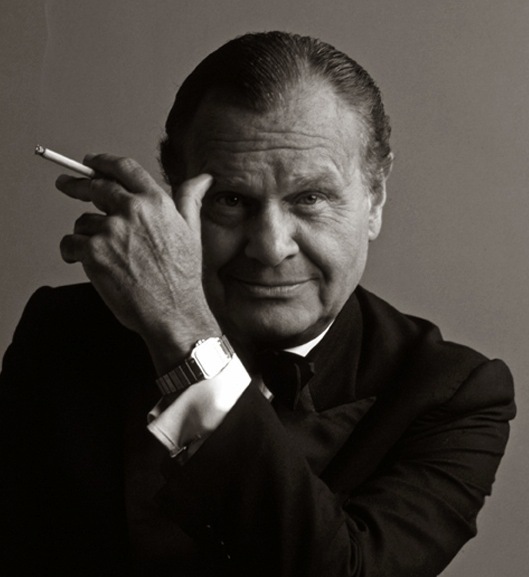 I saw this picture once of an older Bill Blass with the quote “When in doubt, wear red” written beneath. Bill Blass knew (like any woman) the importance of black—but he also knew the importance of bright colors, a mix of textures, and bold prints. What else does a girl need? 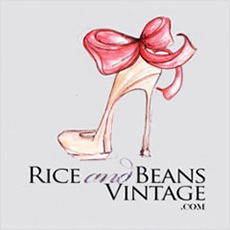 Shop vintage Bill Blass fashion Now!